The quintessential Costa Rican dish is part of a delicious breakfast! 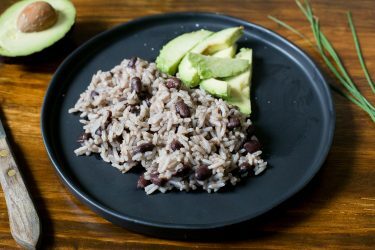 Gallo Pinto is the national dish of Costa Rica, and it's not hard to find in restaurants and homes around the country. 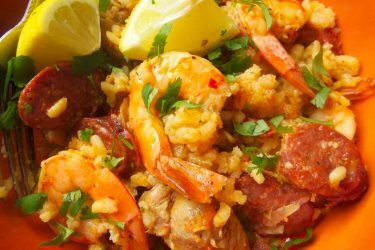 Ticos around the world swear by this dish, and it's essentially a rite of passage if you ever visit the country. Served with a fried egg, as in this recipe, it's an absolutely delicious breakfast. On my first trip to Costa Rica, I had two goals in mind: to enjoy its beautiful beaches, and to try this famous dish and learn the recipe. At first glance, it seems like a pretty simple dish to put together... all Latinos have enjoy form form of rice and beans, right?? But then I realized that what makes gallo pinto different from its rice 'n bean cousins is the variety of ingredients that go into it. In particular, the addition of salsa Lizano gives the dish its special aroma and flavor. So of course, I had to learn how to make salsa Lizano too, and I'm happy to share the recipe with you here. It's simple and easy to make. If you don't feel like making it, you can always buy it, but whenever I can, I try to whip up a homemade salsa. It gives your food a wonderful freshness that a store-bought sauce simply can't match. I recently made salsa Lizano at home and loved how it came out. Gallo pinto is often eaten for breakfast with scrambled or fried eggs, and it's become one of my favorite ways to start the day! Heat 2 tablespoons vegetable oil in a stockpot over medium heat. Add the onion, bell pepper and garlic and sauté for 6 minutes or until the onion is translucent. Add black beans and salsa Lizano, stirring to combine, and cook for 5 minutes more. 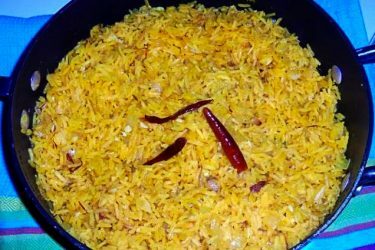 Stir in the cooked rice and cook for about 3-5 minutes, or until the liquid is adsorbed. Stir in the chopped cilantro. 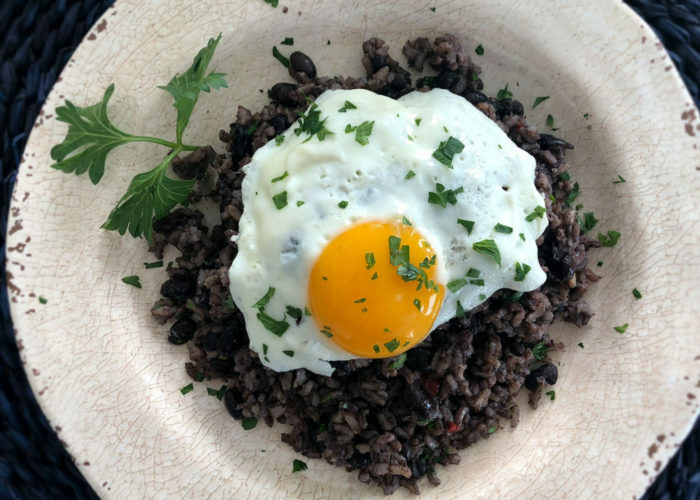 Serve the gallo pinto on a plate, top with fried egg and garnish with a sprinkle of chopped cilantro.